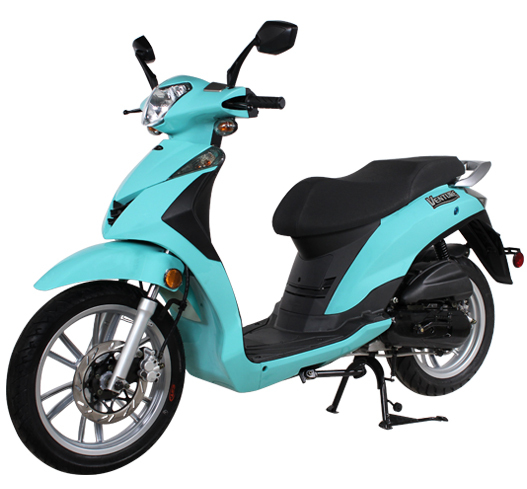 Genuine’s newest 50 cc scooter is called Venture, aptly named for the adventurous ride and performance that you’ll experience on this “big wheel” scooter. 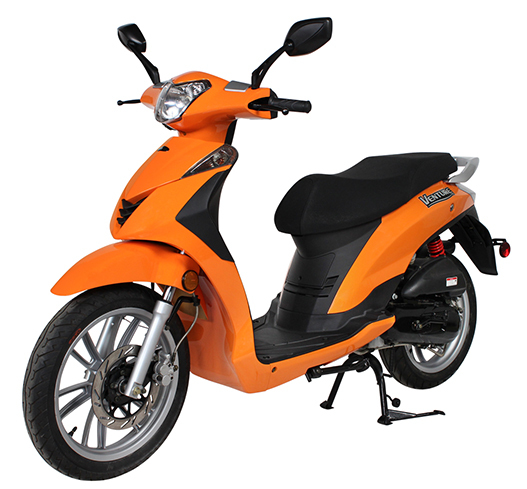 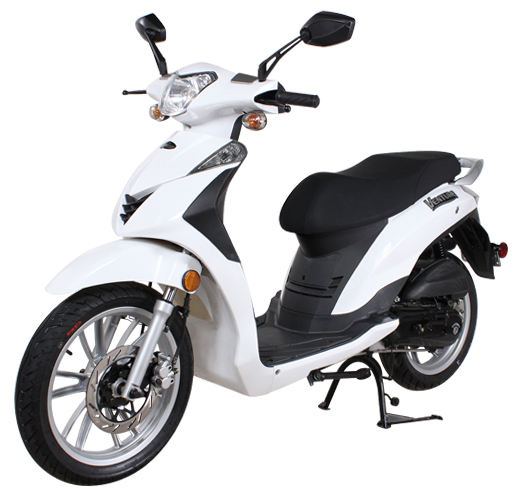 With 16″ front and 14″ rear alloy wheels, this scooter is loaded with features including a 3-valve liquid cooled engine and rear disc brakes. 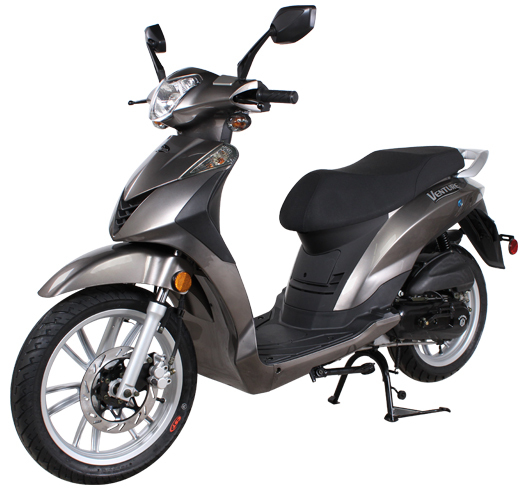 Backed by Genuine’s 2 year Genuine Confidence Plan, the Venture outshines the competition in both performance and price….the MSRP is only $1,599!